cover by j. scott campbell j. michael straczynski/john romita jr./scott hanna It's wall-to-wall action as Spider-Man, armed with new knowledge about himself and his powers, squares off against the enigmatic and lethal Morlun! "J. Michael Straczynski, creator of 'Babylon 5,' has taken over the reins of Marvel's venerable web-slinger... the results: the best issue of AMAZING SPIDER-MAN in years -- if not decades! 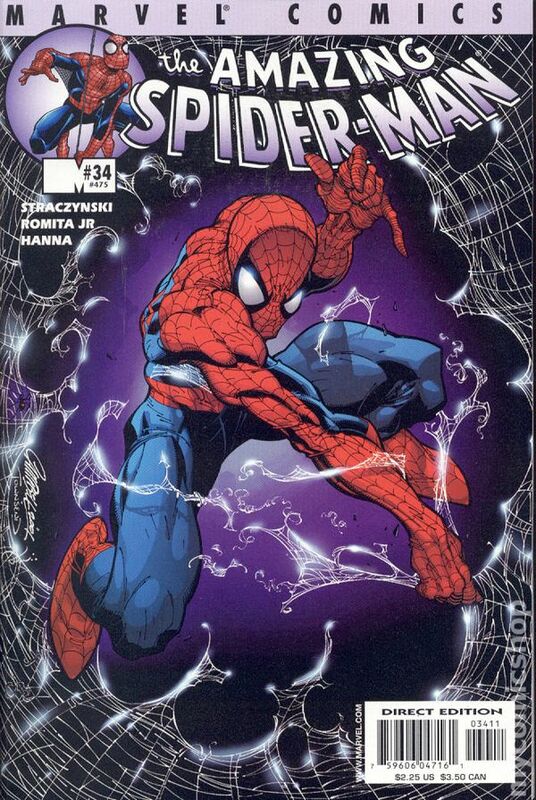 Straczynski is taking the wall-crawler in some amazing new directions!" - CaptainComics.net Cover price $2.25.